This article’s presupposition is false. 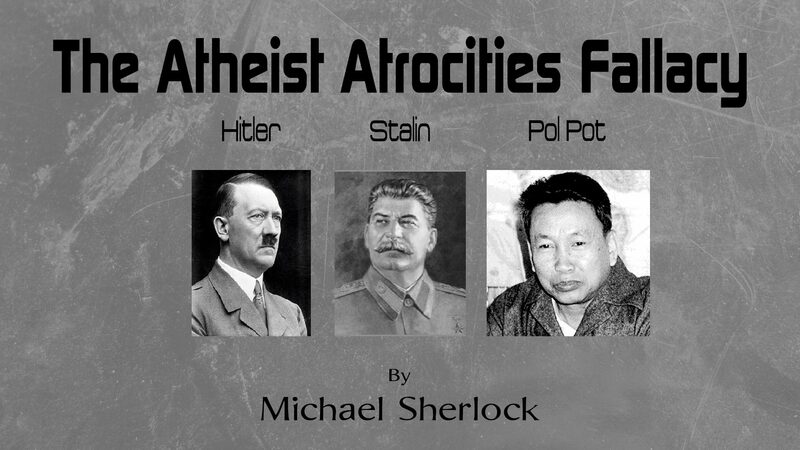 These monsters were dangerous because of their Communist / Socialist / Marxist world view, which is underpinned by atheism. It is the application of this world view, with no moral constraints and the end-justify-the-means dogma that allowed them to overthrow systems of government and establish their personal ambition as the only “law”, so as to justify the murder of hundreds of millions who broke their law. Why such a rude and aggressive post? Atheists claim to study Christianity and “understand” it yet don’t even know what a Christian actually is – a follower of Christ. Does Hitler fit into that definition? No. He also rejected the Christian Creed, which automatically makes him a non-christian. Hitler’s table talk is also evidence of his nonChristian views too. He allowed people like Himmler to persecute churches. He called Christianity the “liar” and “an invention of the sick brains.” Yes, oh so Christian of him. I’m not sure why atheists are so desperate to make him a Christian. And you’re trying to use some theologians to justify Hitler? Even though what they say directly contradicts the Bible? I thought atheists “studied” the Bible? Stalin and his “party of science” wanted to eradicate Christianity and have all teachers be actively godless and propagandists. He made priests, bishops, nuns go to prison and concentration camps solely because they’re Christian. They couldn’t even celebrate christmas/easter. So maybe, Michael, it’s just that there are some bad people regardless of being religious or not. The writer will do well to first explain who a Christian is before lumping his three musketeers as Christians. If they talk about him being brought up as a Christian, I just remind them that so was Richard Dawkins and Christopher Hitchens. So what? If the Atheist talks about how Hitler claimed to be a Christian or “Good Catholic” I ask them what church did he attend after 1934? And I state this: In our little dialog here, I am a Christian. I believe the teachings of Jesus of Nazareth, the Messiah, the Christ, A Jew. You believe the words of Hitler. Who is more the Nazi? Hi. Exelent text! Can I write a translation to spanish language?